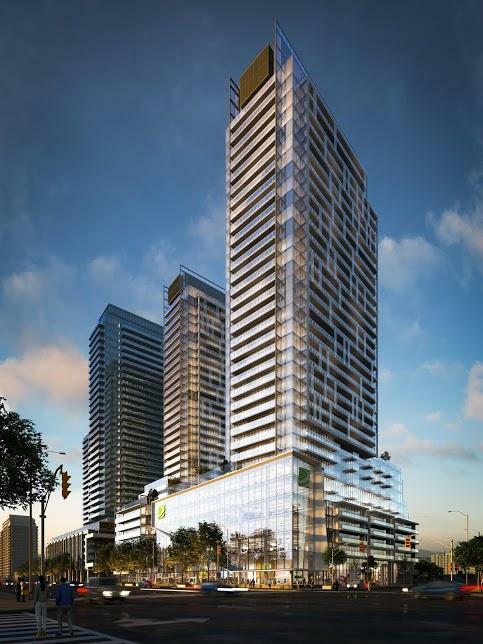 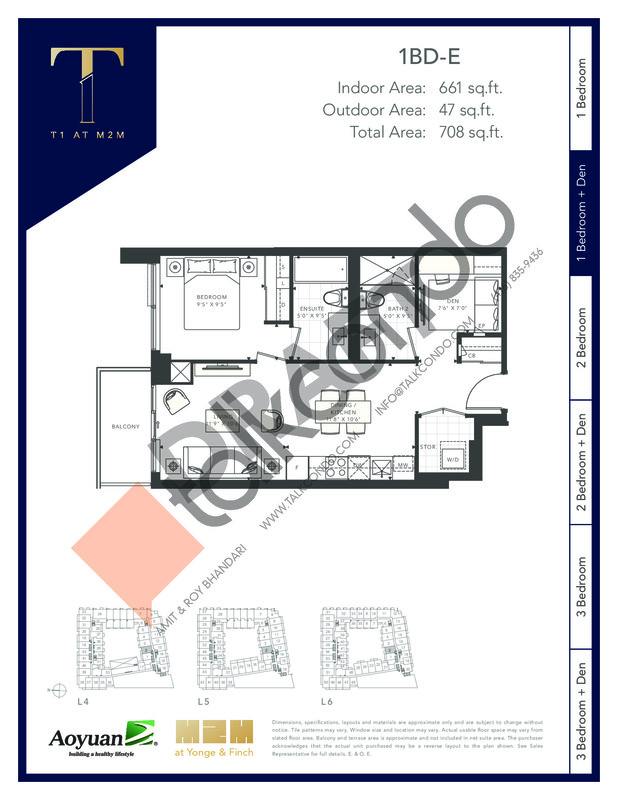 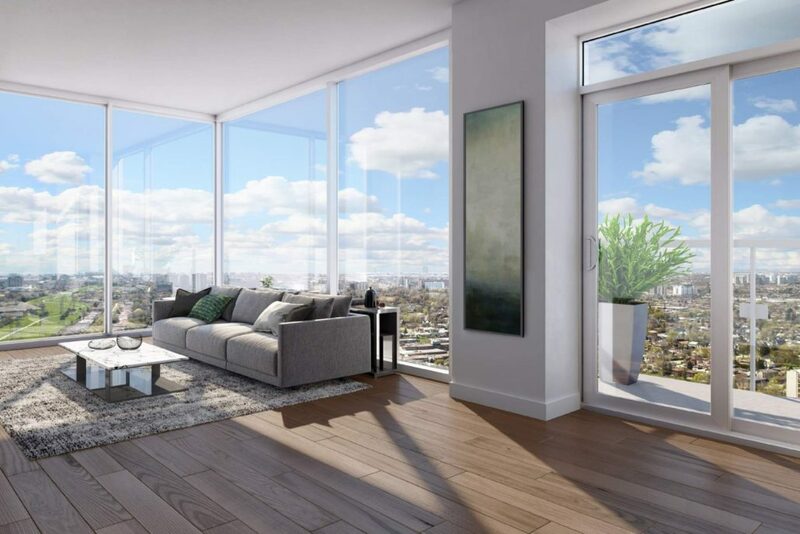 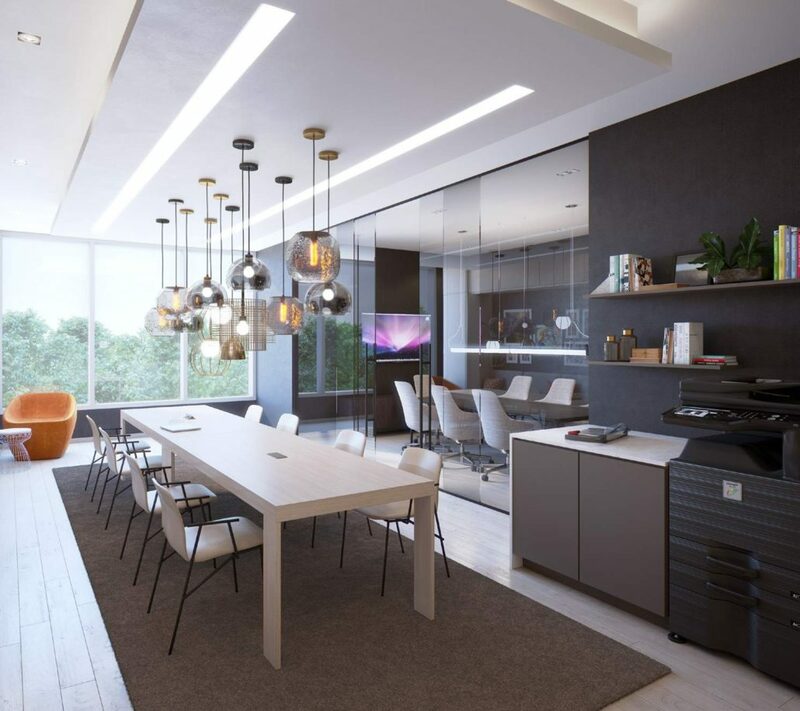 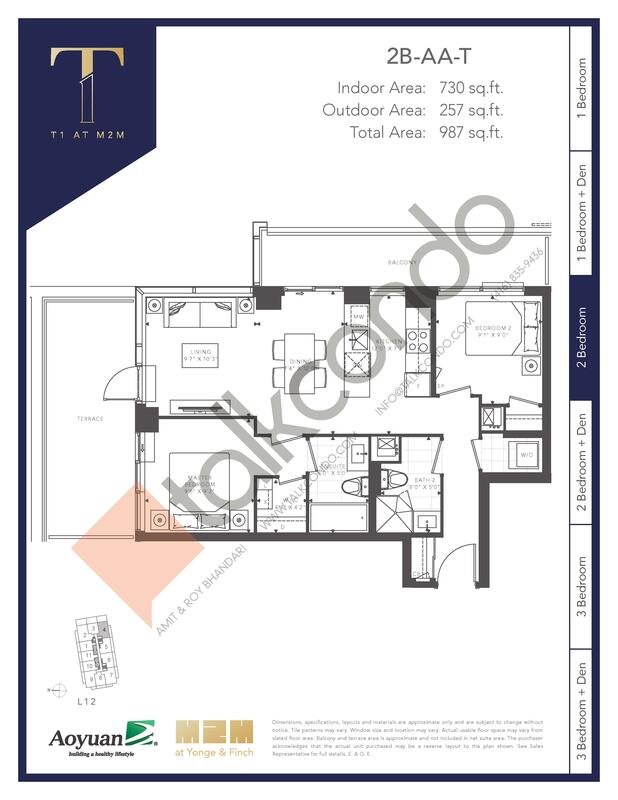 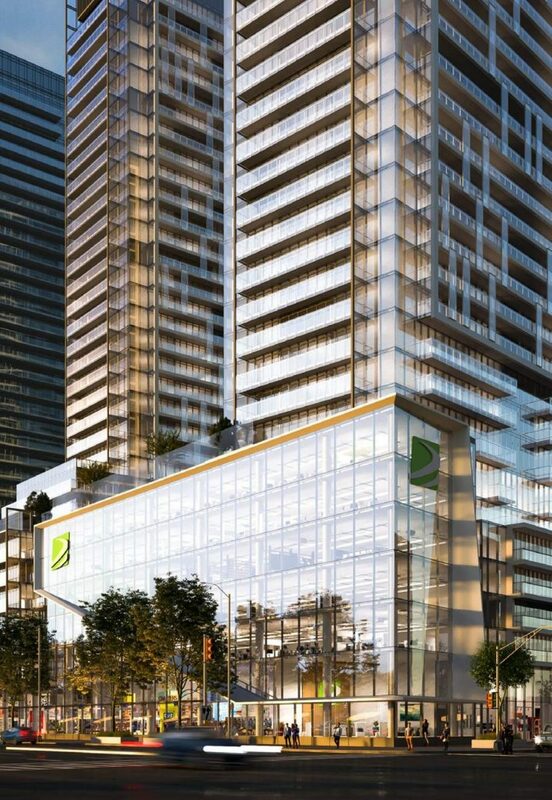 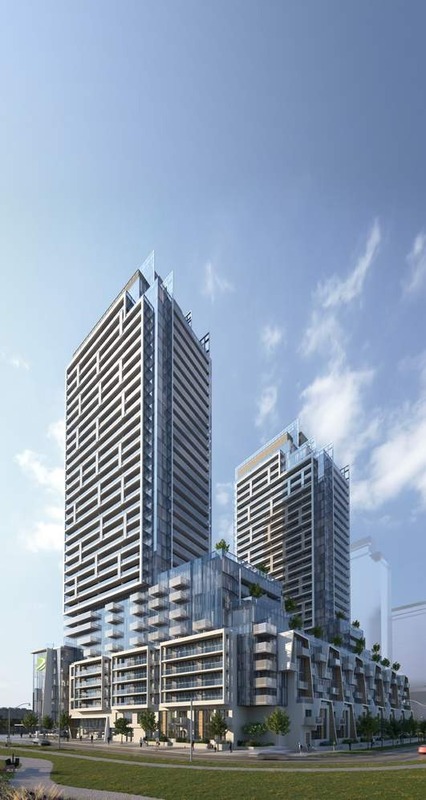 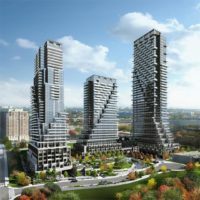 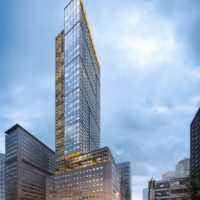 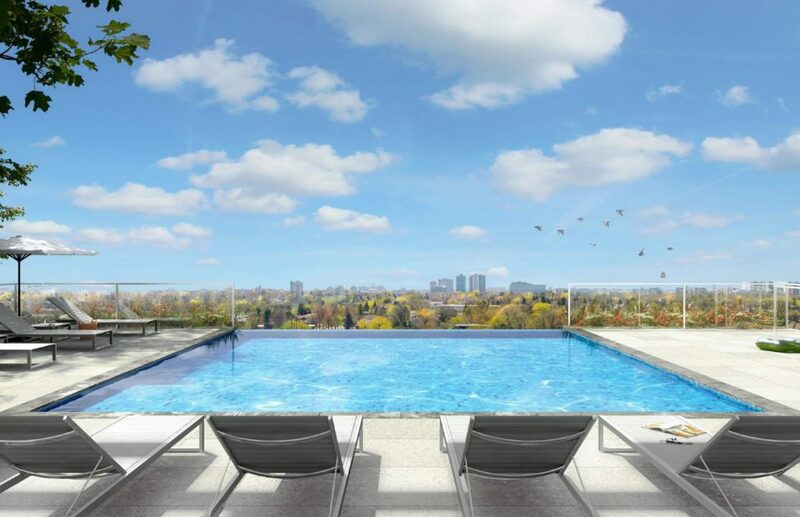 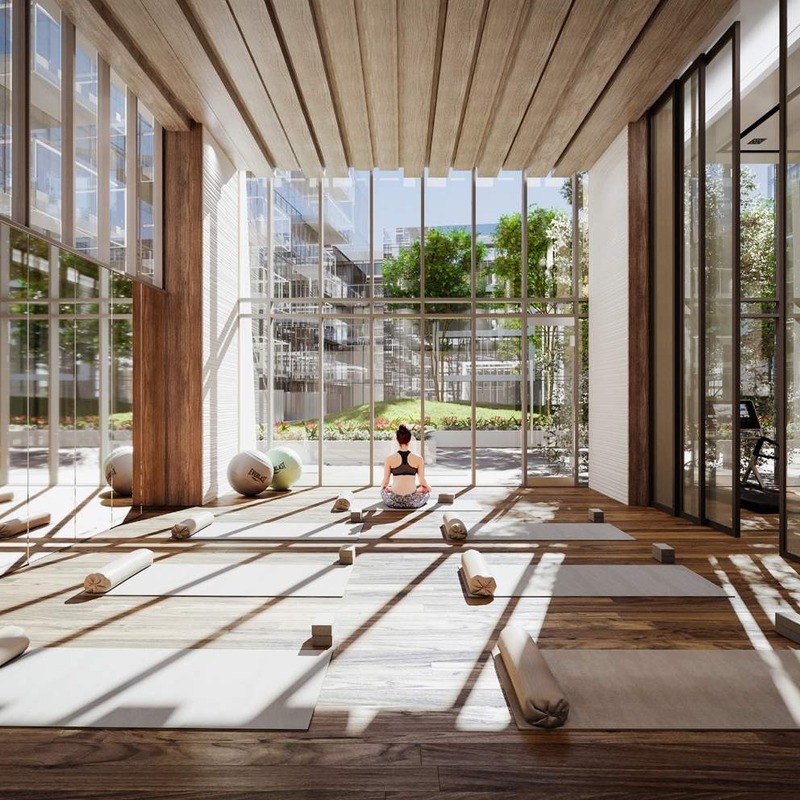 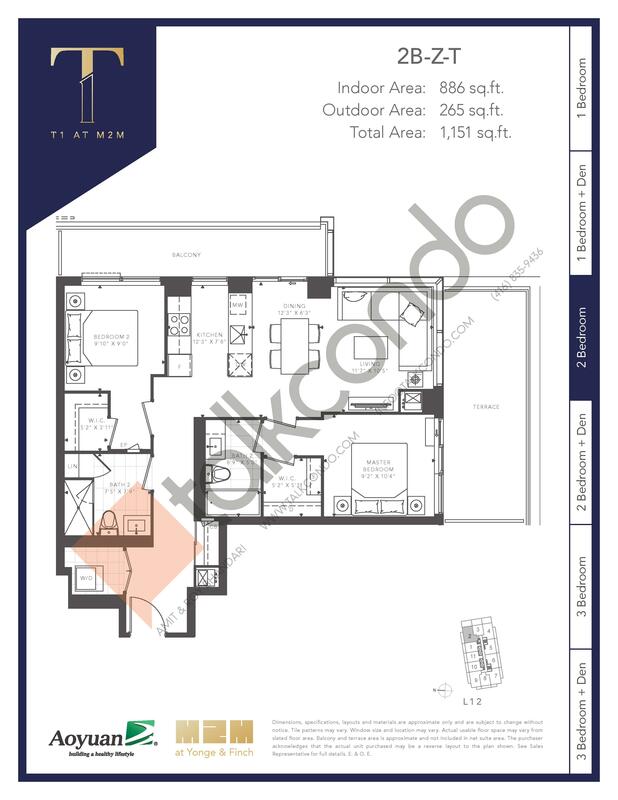 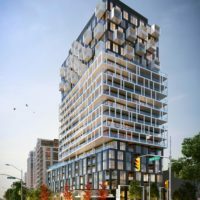 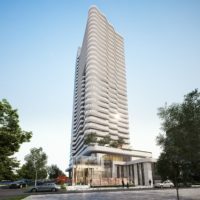 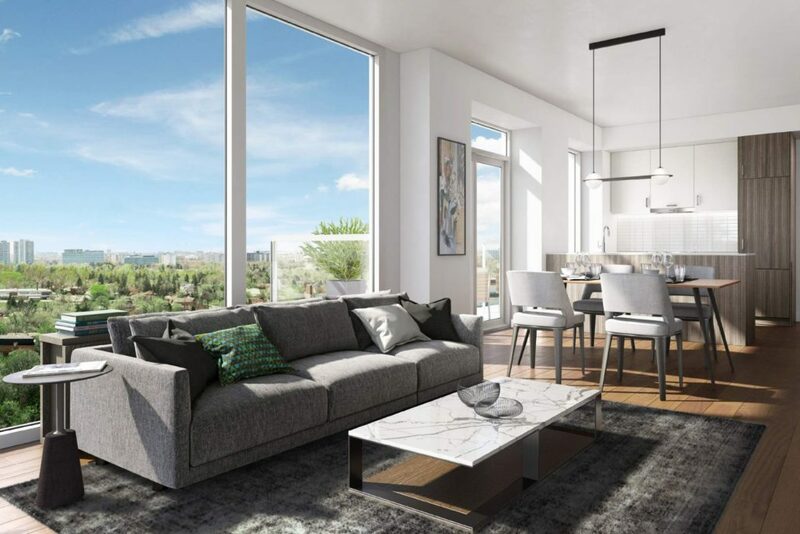 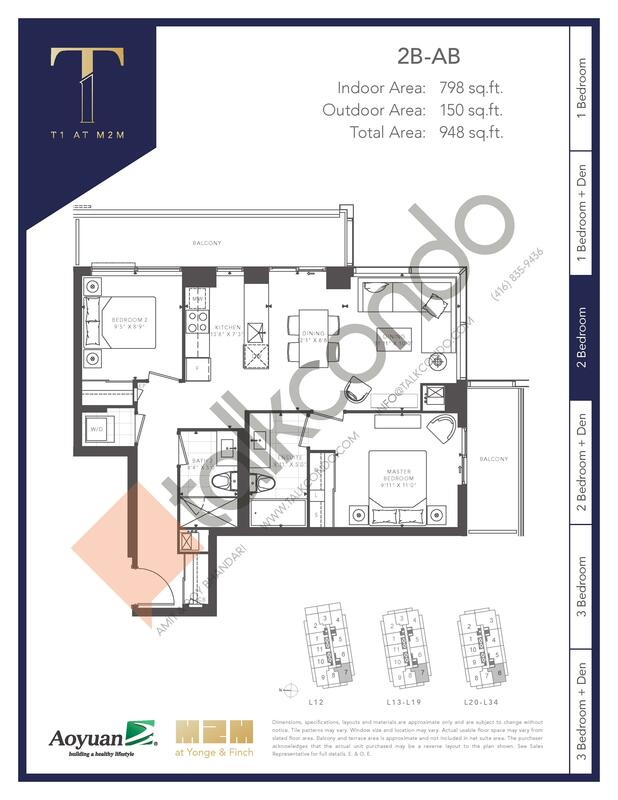 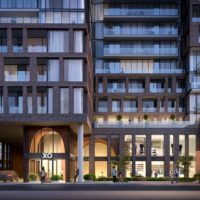 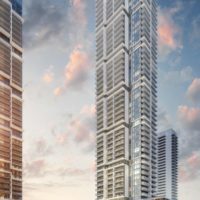 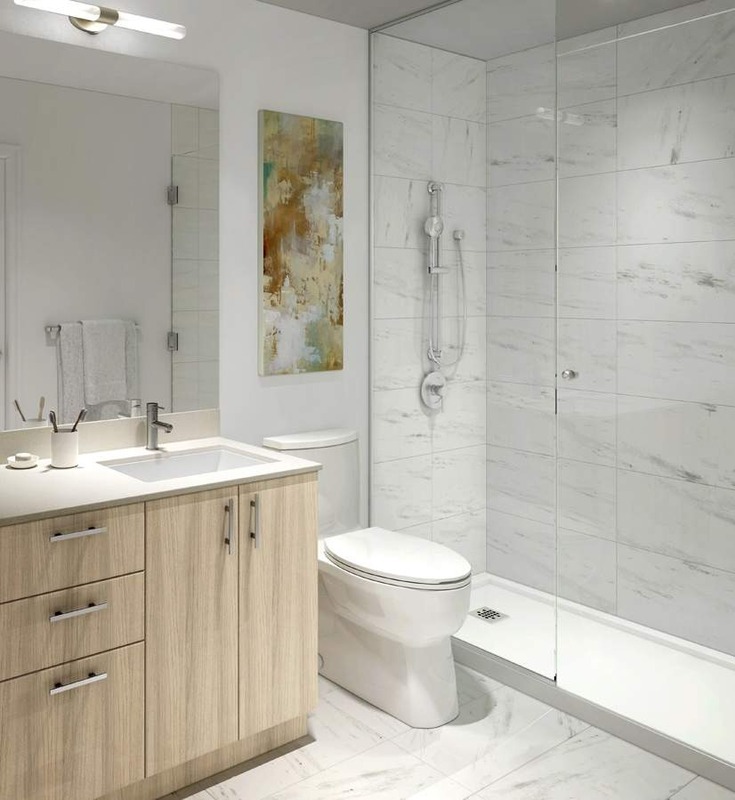 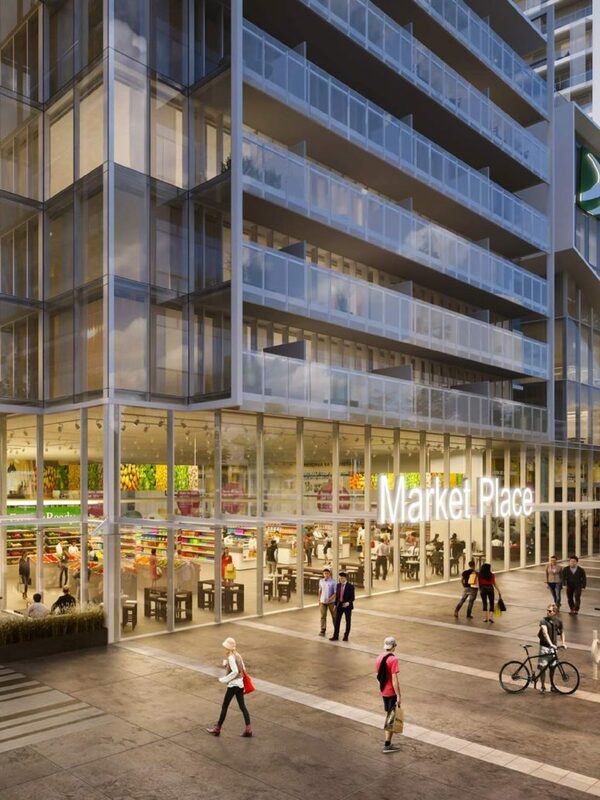 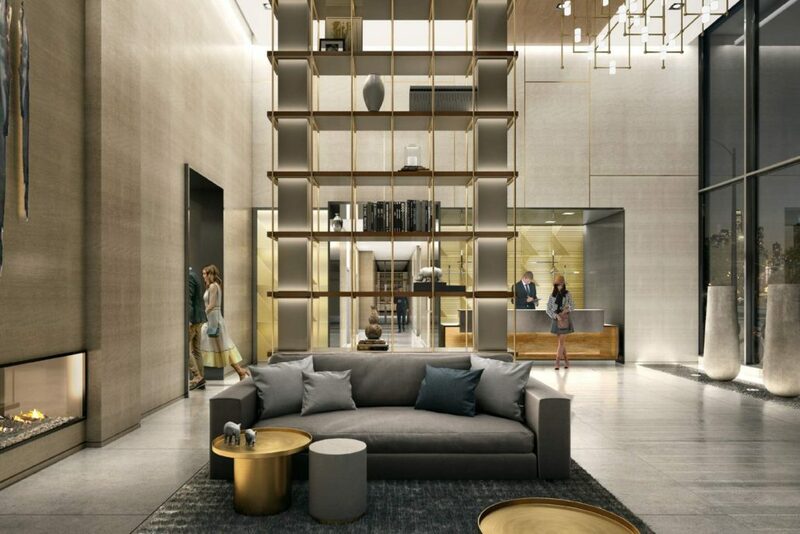 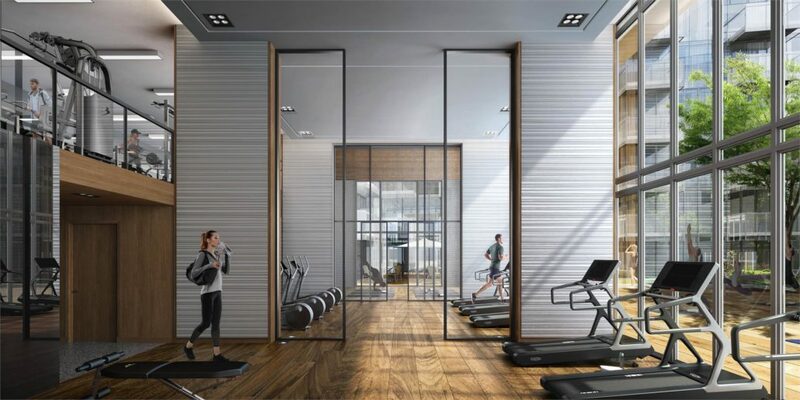 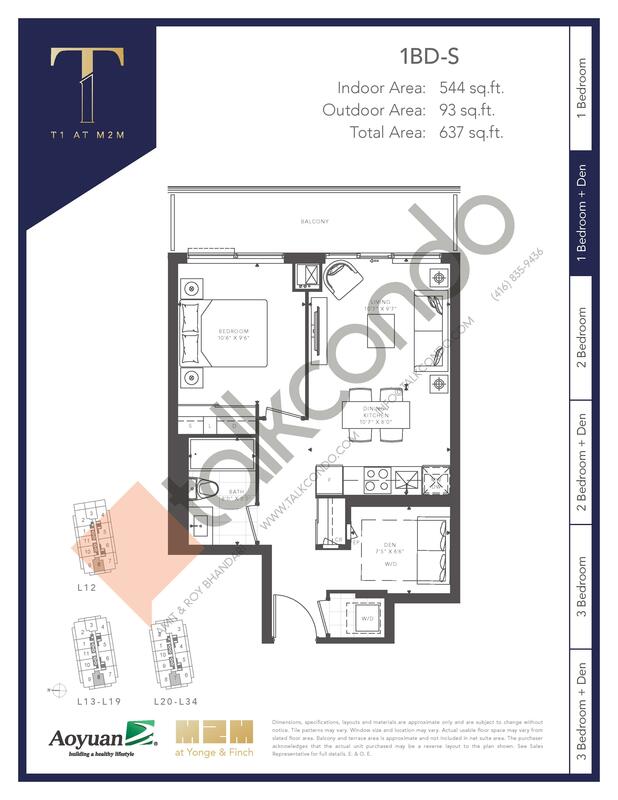 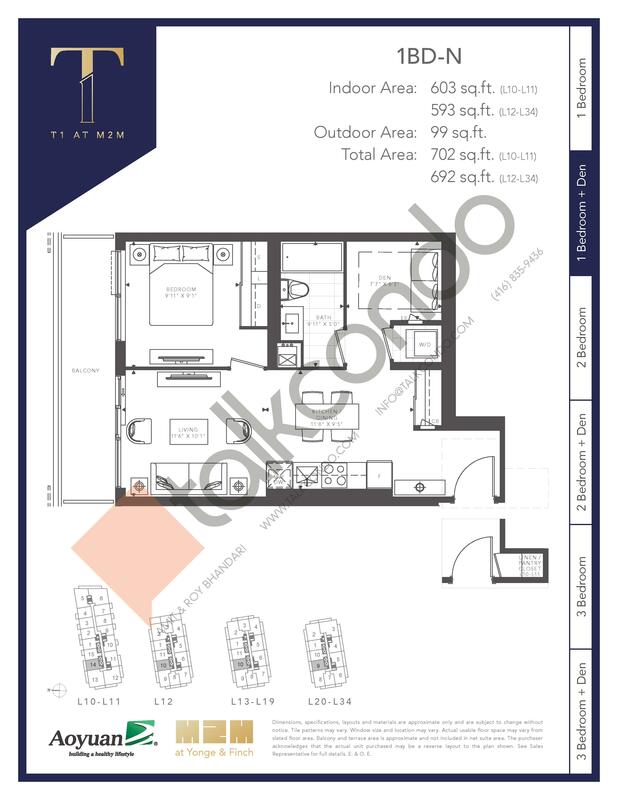 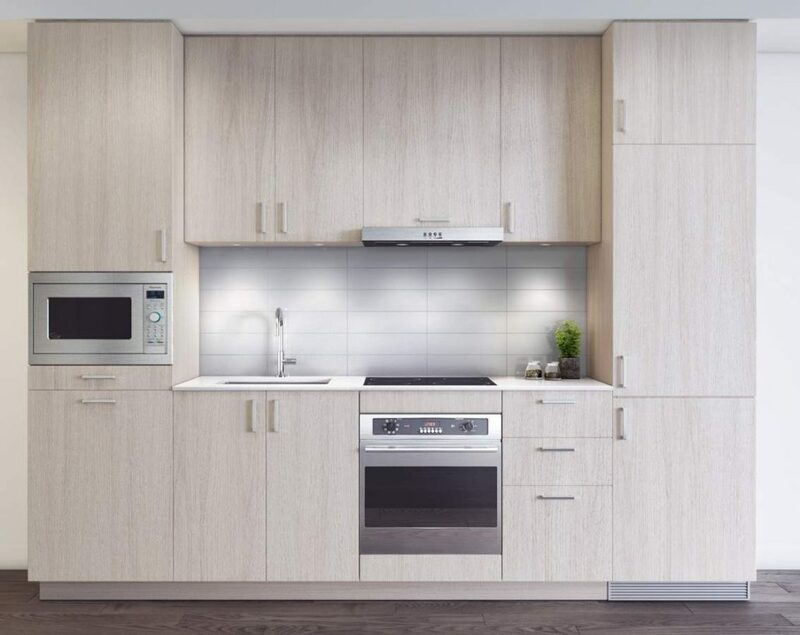 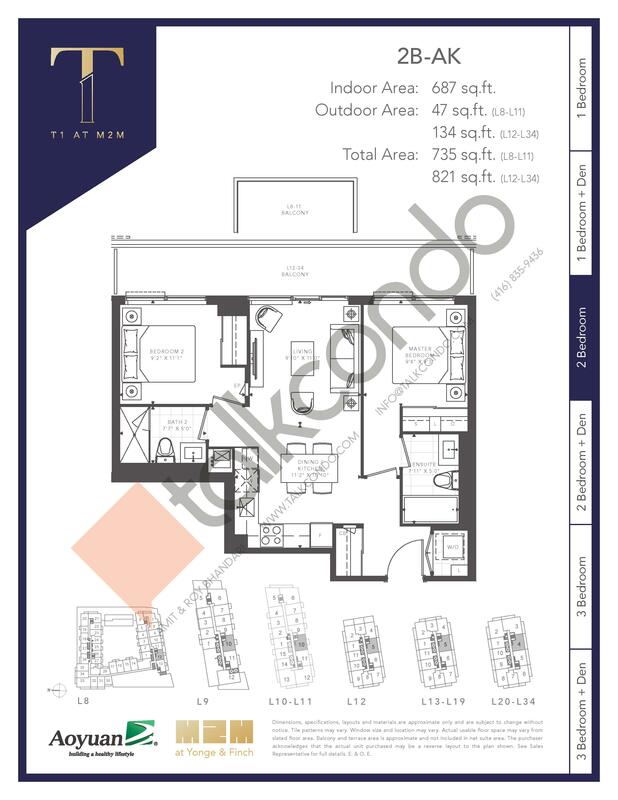 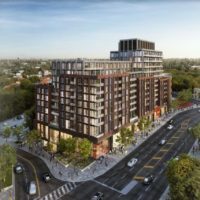 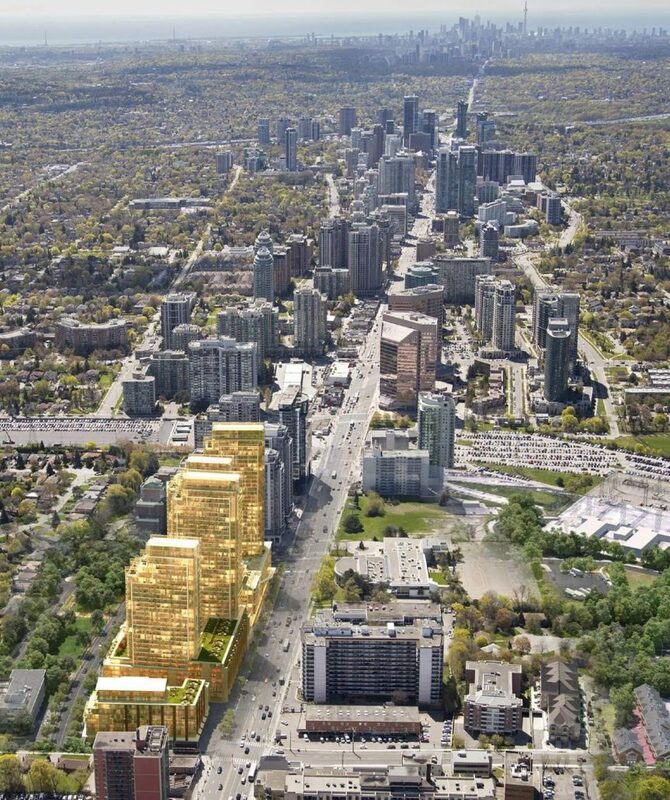 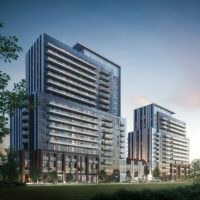 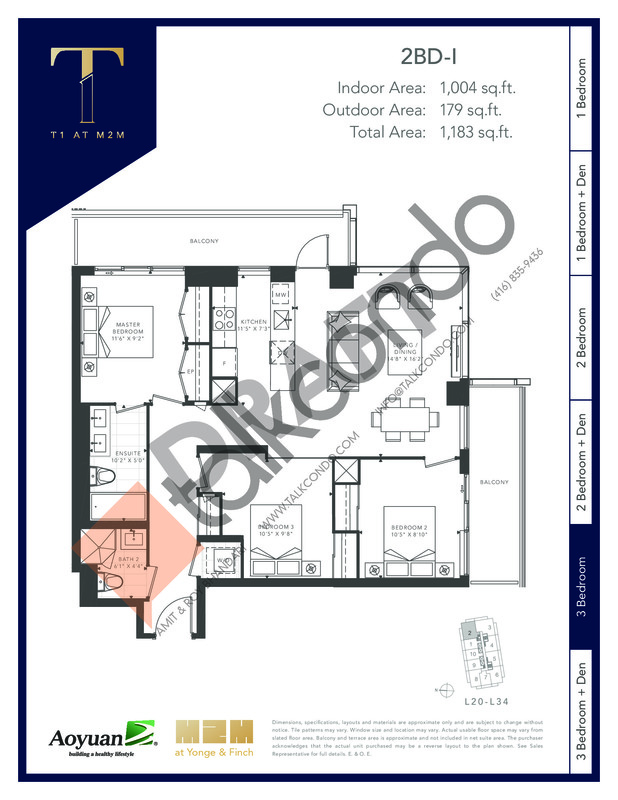 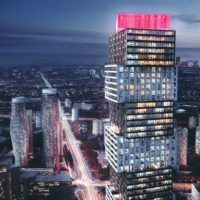 T1 at M2M Condos is a new condominium development by Aoyuan International currently in pre-construction located at 5851 Yonge Street, Toronto in the Newtonbrook neighbourhood with a 72/100 walk score and a 100/100 transit score. T1 at M2M Condos is designed by Wallman Architects. 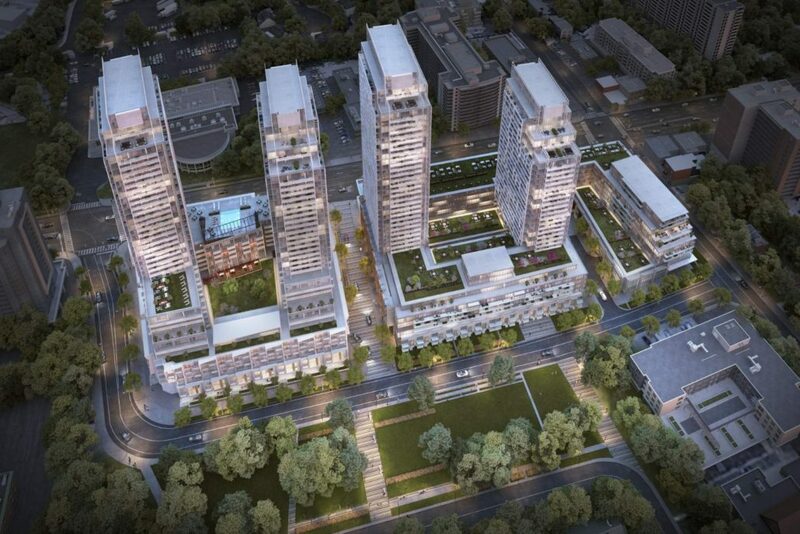 Development is scheduled to be completed in 2022. ranging from 474 sq.ft to 1256 sq.ft. 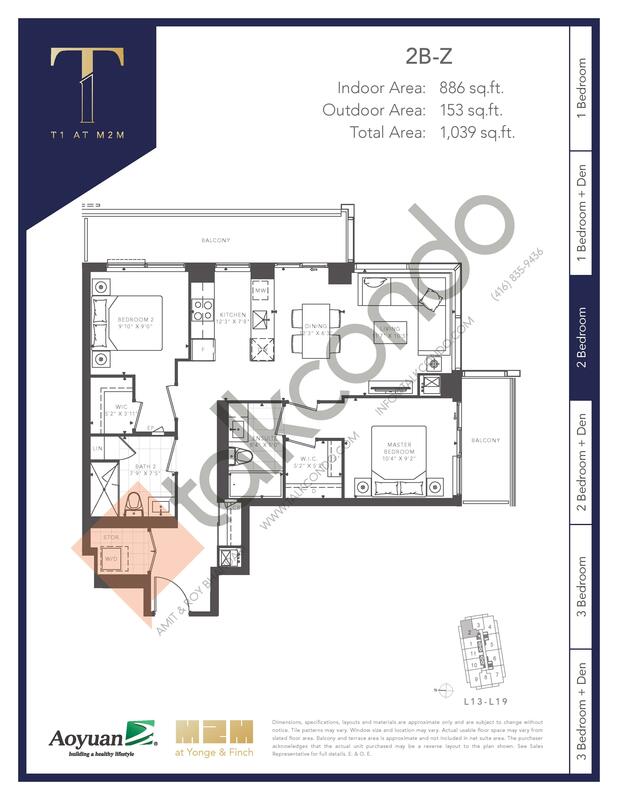 Suites are priced from $533,900 to $1,199,900. 1.5 Bed 2 Bath 636 sq.ft. 1.5 Bed 2 Bath 661 sq.ft. 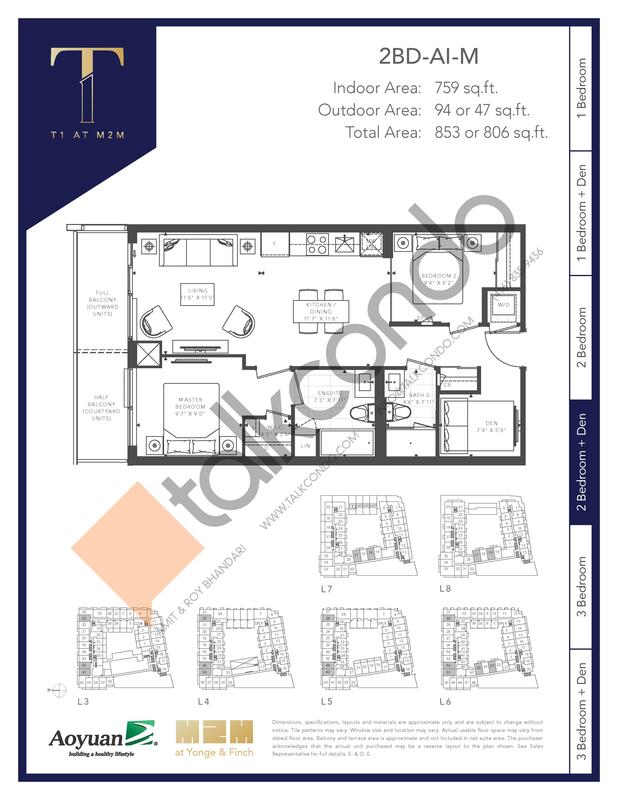 2.5 Bed 2 Bath 682 sq.ft. 2 Bed 2 Bath 683 sq.ft. 1.5 Bed 2 Bath 721 sq.ft. 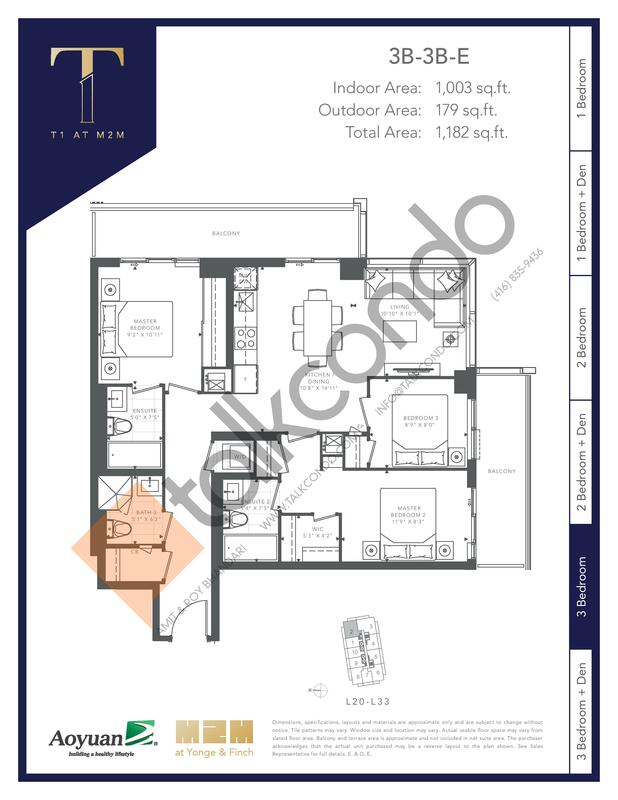 2.5 Bed 2 Bath 759 sq.ft. 3 Bed 3 Bath 1003 sq.ft. 3 Bed 2 Bath 1023 sq.ft. 2.5 Bed 2 Bath 1093 sq.ft. 3 Bed 2 Bath 1124 sq.ft. 3.5 Bed 3 Bath 1256 sq.ft. 1.5 Bed 2 Bath 582 sq.ft. 1.5 Bed 2 Bath 614 sq.ft. 1.5 Bed 2 Bath 631 sq.ft. 2 Bed 2 Bath 704 sq.ft. 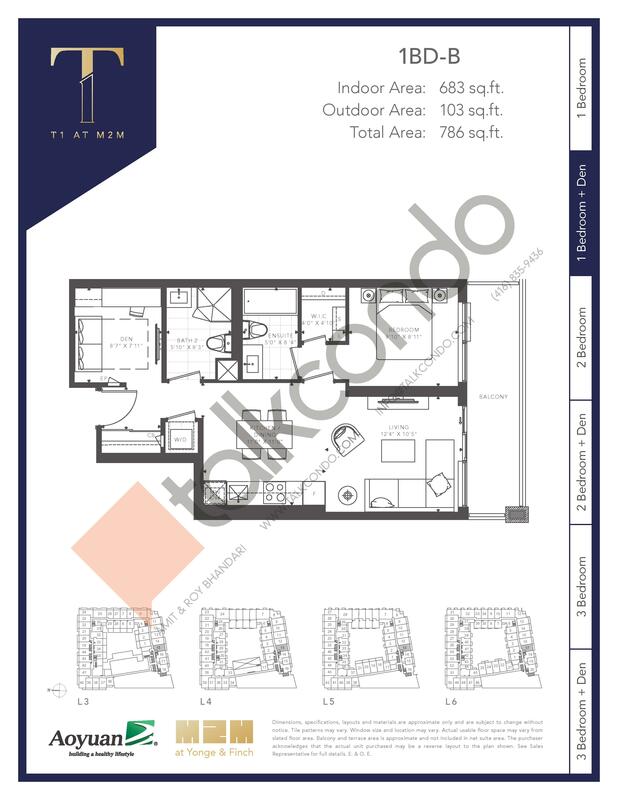 2 Bed 2 Bath 781 sq.ft. 3 Bed 2 Bath 1004 sq.ft. 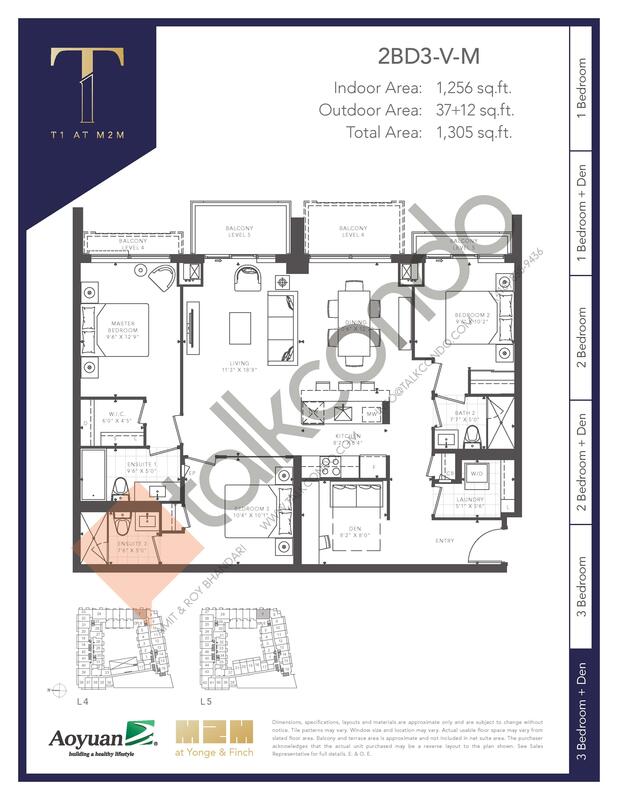 3 Bed 2 Bath 1013 sq.ft. 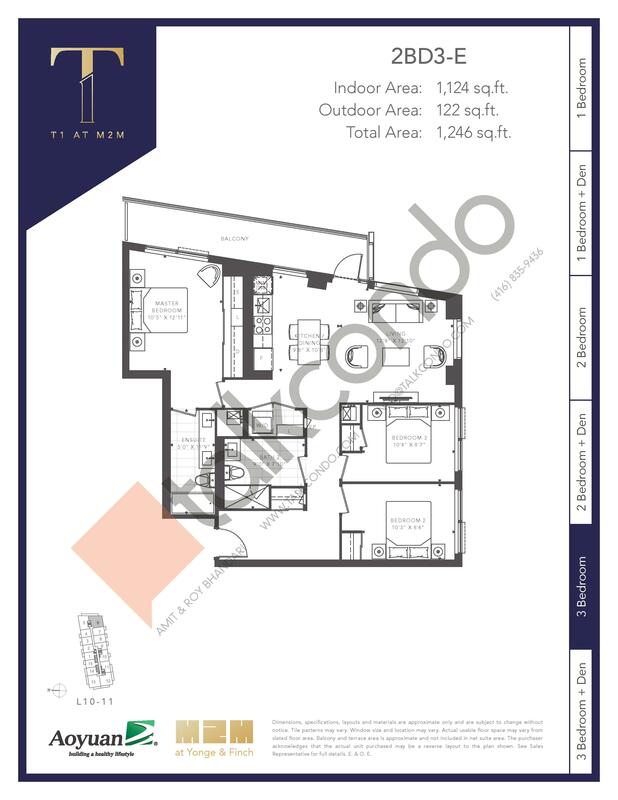 3 Bed 2 Bath 1099 sq.ft.